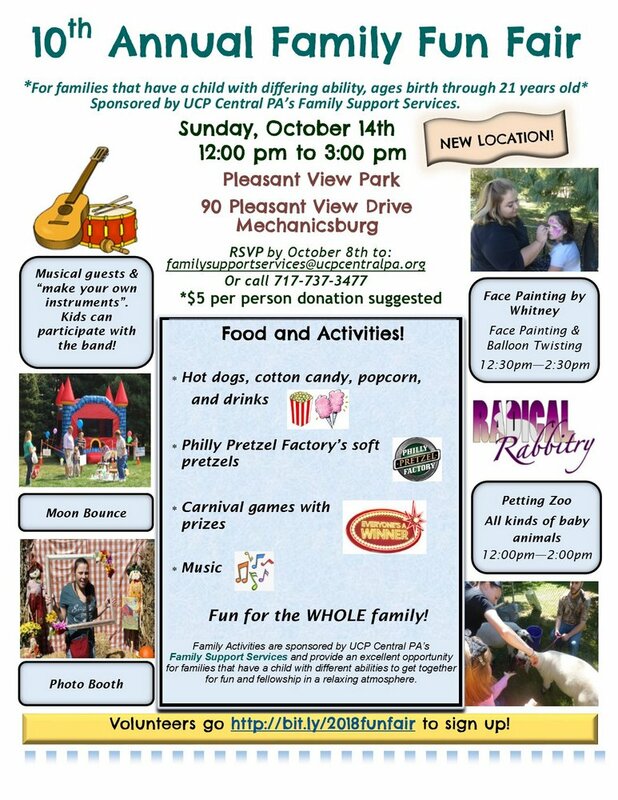 UCP will host its 10th Annual Family Fair. 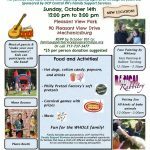 Families who have children with differing abilities (or any type of special needs) are welcome to an afternoon of family fun and fellowship. Children ages birth through 21 can enjoy music, including make-your-own-instruments & joining the band, a moon bounce, balloon twisting, face painting, many carnival games (everyone’s a winner! ), petting zoo, and photo booth fun! There will be plenty of food and enjoyment for the whole family! Additional Parking will be available at West Shore Printing’s lot.